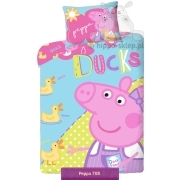 Baby bedding set with Peppa Pig and Suzy Sheep for cribs or baby bed with one of the most popular Pig form animated kids series. 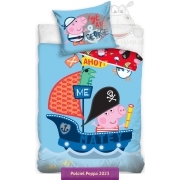 Sweet baby or crib bed set with Peppa and Suzy Sheep in light pink colors and sweets motif candy and lollipop. 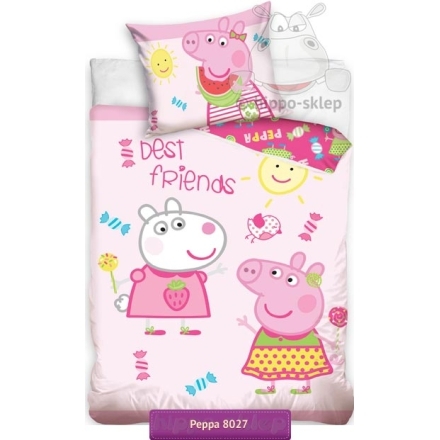 Baby bedding with Peppa and Suzy available in duvet cover sizes 90x120 cm or 100x135 cm and one pillowcase size 40x60 cm according to selected size option. 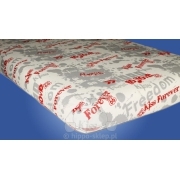 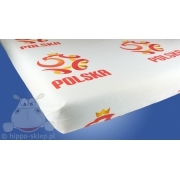 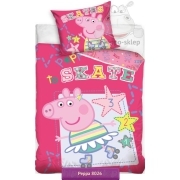 Peppa Pig duvet cover and pillowcase closing by safety zip, made of 100 % cotton Oeko Tex standard 100 certified. 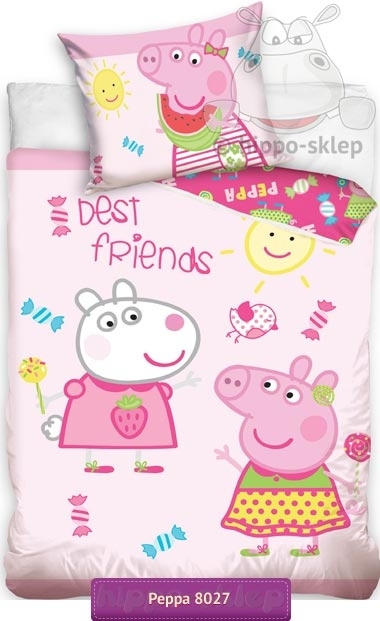 Best gift idea for little girl who love little Peppa and his friends.